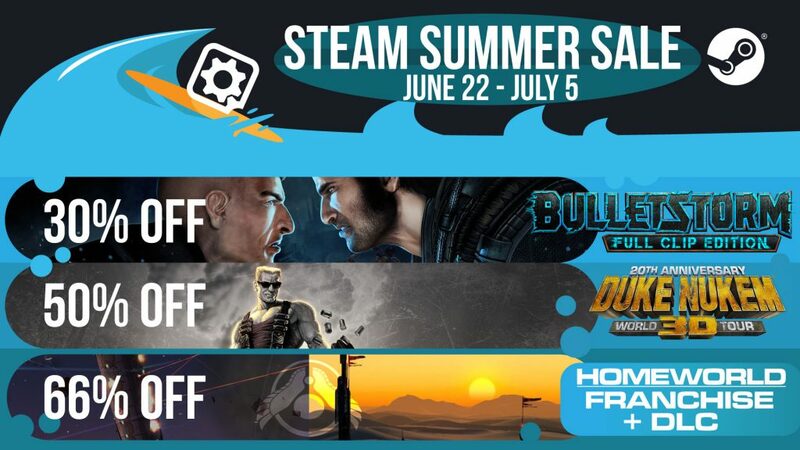 The Steam Summer Sale Brings Deals for Bulletstorm, Duke Nukem, and More! The Steam Summer Sale is upon us! From June 22nd to July 5th, take advantage of Steam’s outrageous deals on Gearbox Publishing titles. Bulletstorm: Full Clip Edition is on sale for 30% off! Get it bundled with Duke Nukem’s Bulletstorm Tour for double the deal! 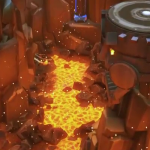 Get your frag on! Duke Nukem 3D: 20th Anniversary World Tour is on sale for 50% off! 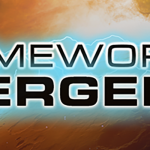 The Homeworld franchise – including Homeworld Remastered Collection, Homeworld: Deserts of Kharak, all available DLC, and the soundtracks – are on sale for 66% off! For more information, check out the Steam store, and be sure to follow us on Twitter and Facebook for reminders throughout the sale.